Interacting Technology Ltd - Verticals : Interacting Technology Ltd.
Interacting Technology believes in communities! The power of a community, people with common interests, consuming the same content, sharing their passions and desires are consider to be part of a community. Interacting Technology created a state-of-the-art solution to gather communities within a platform and enable high social interactions, content delivery and entertainment. The market sees Interacting Technology as a pioneer in operation, management and monetization of communities in a collaboration with top leading brands worldwide. 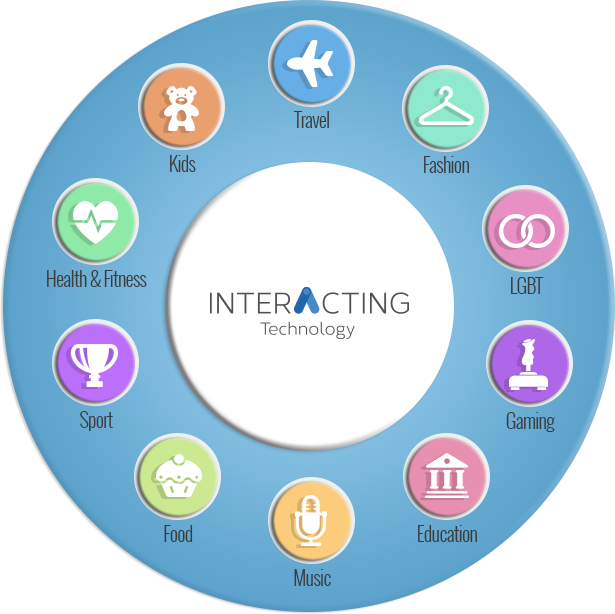 Interacting Technology is targeting the biggest brands in the world, categorized under a common interests & sectors. These brands have a pain, they are not close to their users, not familiar with the users’ behavior and do not have any ability to maximize the benefits of their own community. Interacting Technology with its Technology and its B2C global operation creates a New Digital Revenue Engine which will produce strong cash flow from each community.